The cryptic clues just keep on coming from Boards of Canada. This weekend, the legendary electronic duo shared their own television commercial and confirmed another number in that mysterious code they've been gradually revealing. Now, they have launched a new website to go along with the campaign. If you go to Boardsofcanada.com, you'll now be redirected to Cosecha-transmisiones.com. If you remember, previous sleuthing by the outfit's fanbase uncovered Cosecha as the possible name for a forthcoming release. Currently, the website doesn't include much information, since it requires a password to enter the site. As FACT points out, if you view the website's source, you'll see that the website includes that now familiar code, "------ / ------ / ------ / ------ / XXXXXX / ------." We already know most of the numbers in this sequence, which currently looks like this: "699742 / 628315 / 717228 / 936557 / ------ / 519225." Perhaps that final remaining number is the key to getting the password to the site. 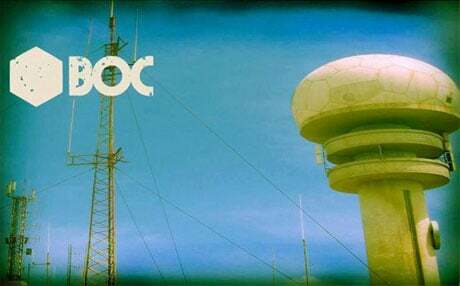 UPDATE: And here we go: the code has been apparently cracked, as it's been announced via a press release that Boards of Canada's next album will be called Tomorrow's Harvest and will arrive on June 11 via Warp. Learn more here.